The poem featured below was previously published in The Litchfield Review. orphans with eyes that sparkled desire. like the poles we fashioned to hook sunfish. from which they were plucked. they vanished like fogged shadows. An “Imported” poet, Lee Keylock’s poetry often reflects the conflict between the English and the Irish, framed with mythic themes, fleshed out with historic fact and eyewitness detail. Originally from Essex, England, he settled in the U.S. in 1990. 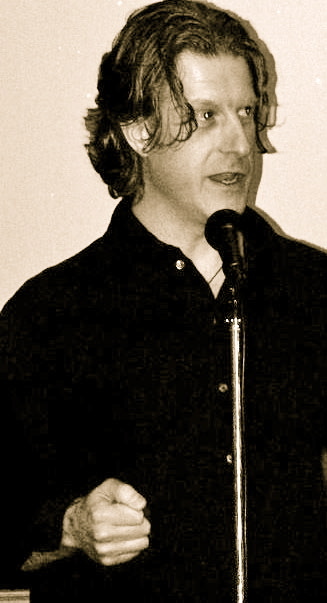 He is a teacher of English at Newtown High School, Sandy Hook CT. His poems have appeared in Connecticut River Review, Caduceus, Raving Dove, Connecticut Review, the Litchfield Review and in Bent Pin Quarterly among others. Lee is a student of noted poet Vivian Shipley. If these facts aren’t enough to bring you out – the guy has a fabulous accent to go with his fabulous poetry!! !